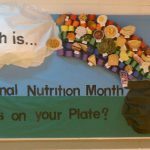 Fitness and nutrition go hand-in-hand, which is why we have compliled PE Central’s top fitness themed lesson ideas, best practices, and bulletin boards in honor of March being National Nutrition Month. Here are some great lessons and activities for you to try in your classroom this month. The Purpose of Fitness Testing – A great bulletin board for students to visualize both fitness and health components, just in time for Nutrition Month. #Fitness Words – A “fun and modern way” to introduce a fitness vocabulary to your students in a visual way. Fitness Testing: What Muscle Are You Working On? – This bulletin board helps students visualize what muscles of the body each fitness exercise utilizes. Building Fit Kids for Life with Fitness Portfolios – Helps students understand how to lead healthy lifestyles through goal-setting. They are encouraged to meet certain goals every week to build strong profiles. Animal Club Fitness Challenge – Students will be inspired to “keep up” with the world’s fastest animals to gain entry into different animal clubs. Hard-working students will aim to complete 100 or more miles of exercise to gain entry into exclusive Falcon Club. Family Fitness Night – A great way to keep parents informed about what’s going on in your PE class. Plus, informed parents are most likely to help enforce goals from class at home. Includes everything you need to have a successful family fitness night at your school. Fitness Board Game – Students will reinforce the five components of fitness (Flexability, Muscular Strength, Muscular Endurance, Body Composition,and Cardiovasular Endurance) while having fun with this easy-to-play game. For more Best Practices, type “fitness” into this PE Central search box. Walking on Sunshine Fitness Dance – Recommended for students in grades K-2, students will learn different types of fitness activities while grooving to this classic song. Poster Contest: “Good Health and Fitness Practices!” – What health concepts have students learned over the semester so far? Students will be tasked to create a poster that demonstrates their favorite nutrition or fitness lesson they’ve learned thus far. Types of Fitness Check – Suggested for grades K-2, this warm-activity helps students identify different kids of fitness activities. Fitness Superhero Rap Warm-Up – This warm-up activity is designed for students in grades 3-5. Students will do the actions included in this “superhero rap” (video in post). A fun start to any PE class! Musical Fitness Dots – Suggested for grades 3-5, this activity gets students excited about exercising with music. Superhero Fitness – Students will rotate playing the roles of Kid Cardio, Mr. Flex and Miss Muscle, three superheroes who have been sent to save the children by teaching them how to be healthy. 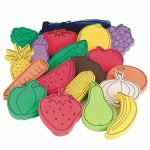 Eggs for Fitness – What do hula hoops, frisbees and plastic colored Easter eggs have in common? This lesson plan! Cardio Drumming to Ghostbusters – Students will learn fitness skills while learning about how to move to the rhythm and beat. Fitness Gram Goal-Setting – Students will set Fitness Gram goals and reflect overall how meeting their goals went. Fitness is Fun! Scavenger Hunt – This customizable scavenger hunt activity is perfect for the month of March. Mission “Possible” Fitness Activity – Requires the “Mission Impossible” theme song to help students tackle the very possible mission of being fit. 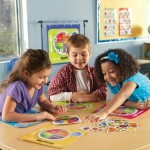 Around the USA Fitness – Students will learn new skills and freshen up on their geography knowledge in this activity. High School Fitness Scavenger Hunt – This scavenger hunt, with worksheet and exercise activities include, is one of the best activities to add fun and excitement to the daily PE routine. Theme Fitness Fridays: Rocky – Ever held a Fitness Friday before? If not, it’s definitely something you might want to consider with this activity based on the Rocky movies. Fitness Homework – After the fun and games, see how much your students have learned with these free, printable worksheets. Fitness Stations Self-Assessments – Designed specifically for students in K-2, students will rate their performance with a variety of fitness stations. 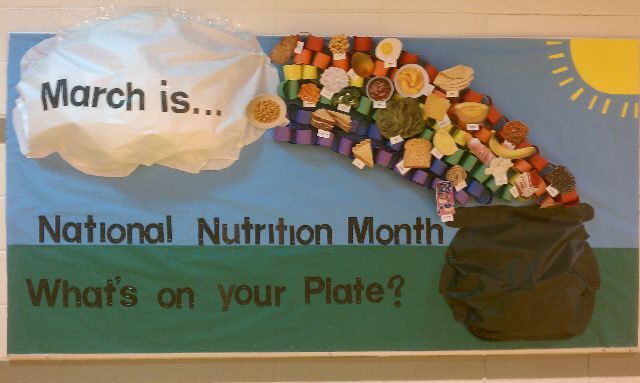 Celebrate MyPlate in 8 Great Ways! 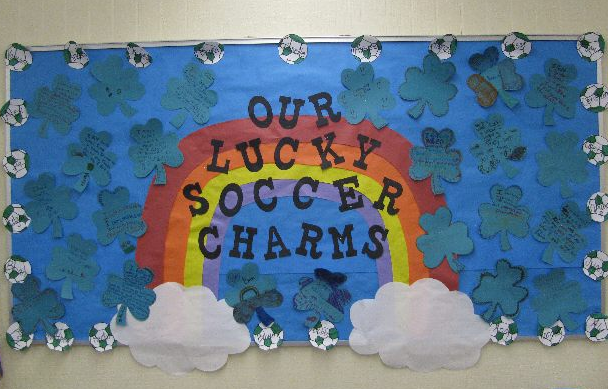 This entry was posted in Health & Nutrition, Newsletter March, PE Activities & Games, PE Central and tagged best practices, bulletin board, fitness, health, lesson plans, national nutrition month, nutrition, PE Central, warm up activities by S&S Worldwide. Bookmark the permalink.